Maybe this is obvious to some of you but, I figured I'd share it anyways. 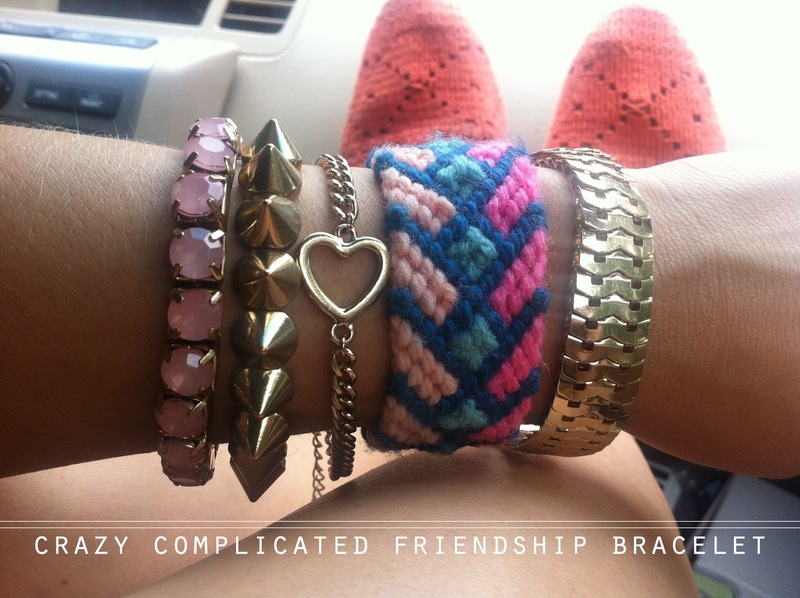 The problem with friendship bracelets is the fact that once you tie them on, they are never coming off unless scissors are involved. There are different ways you can tie the beginning and the end of your bracelets to make them more removable but that always gets complicated and more involved than you want when you sit down to tie knots for the rest of your life. I've found that making a bracelet as you normally would and then adding these jewelry fixings later make for a quicker and easier removable friendship bracelet. It's simple... here's what you do. 1. 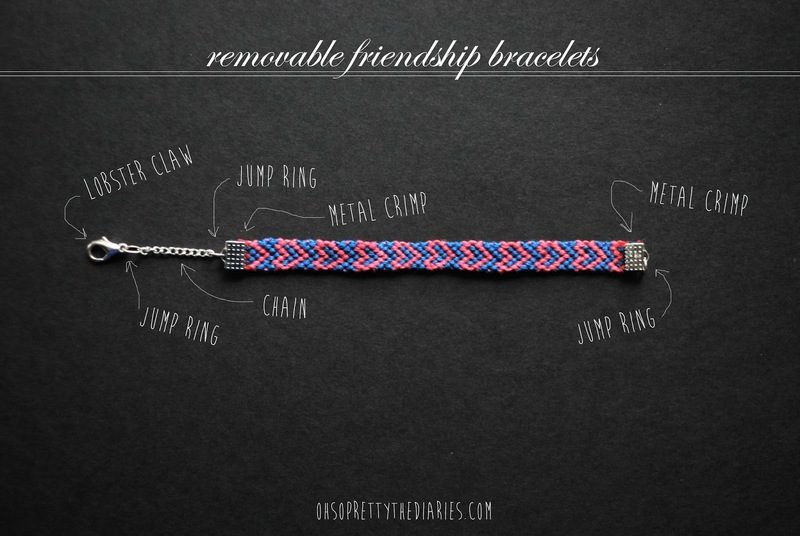 Drop super glue along both ends of the friendship bracelet. This would be up against the knot at the beginning and against the knot at the end. 2. After the glue has dried, cut the knots off. Make sure the cut is perpendicular to the bracelet. 3. Add a drop of super glue on the inside of a crimp. Add a drop on both sides. 4. Close the crimp on the end of the bracelet. Use some pliers or a jewelry tool that you have. Or your strong fingers, whichever. Repeat on both sides. 5. Add a jump ring to both crimps. 6. On one side only, add a piece of chain to the jump ring, followed by another jump ring, followed by the lobster claw. And there you have it. It looks fancy, huh? sponsor oh so pretty in september!